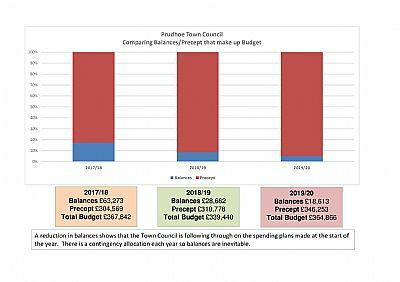 The budget for the forthcoming year was agreed by the Town Council on Wednesday 23rd January 2019 at a full council Budget Meeting. 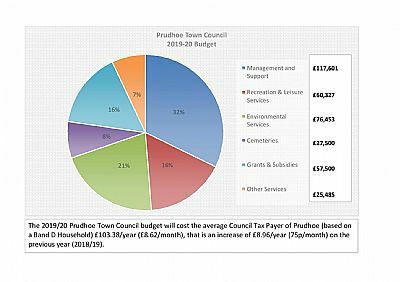 The total budget AGREED was £364,866, with a precept demand of £346,253. The Council Tax payers of Prudhoe pay for the budget of Prudhoe Town Council via their Council Tax (this includes a payment towards Northumbria Police and Northumberland County Council also), for which Prudhoe Town Council makes a precept demand to Northumberland County Council to collect on their behalf. 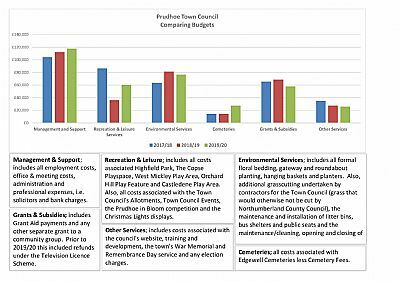 Please click on the images below to open the illustrative charts in PDF format. 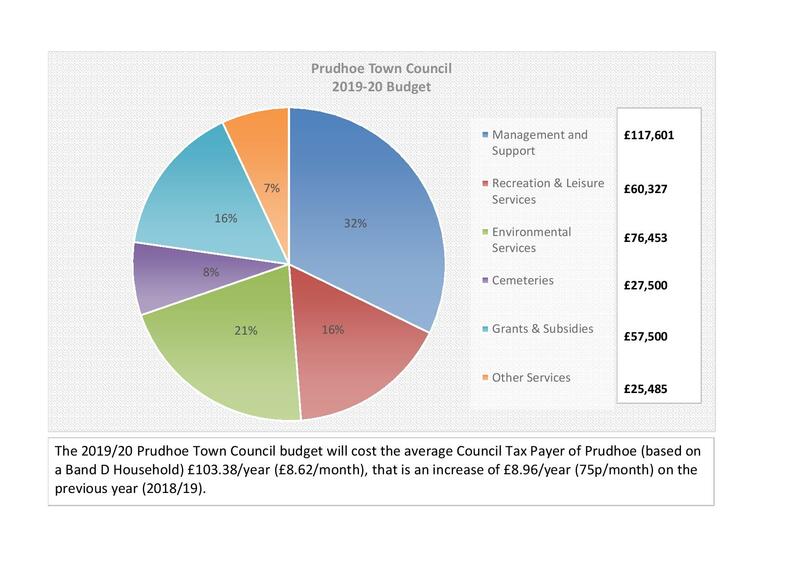 Any questions about the budget and finance of Prudhoe Town Council should be directed to the town council office.